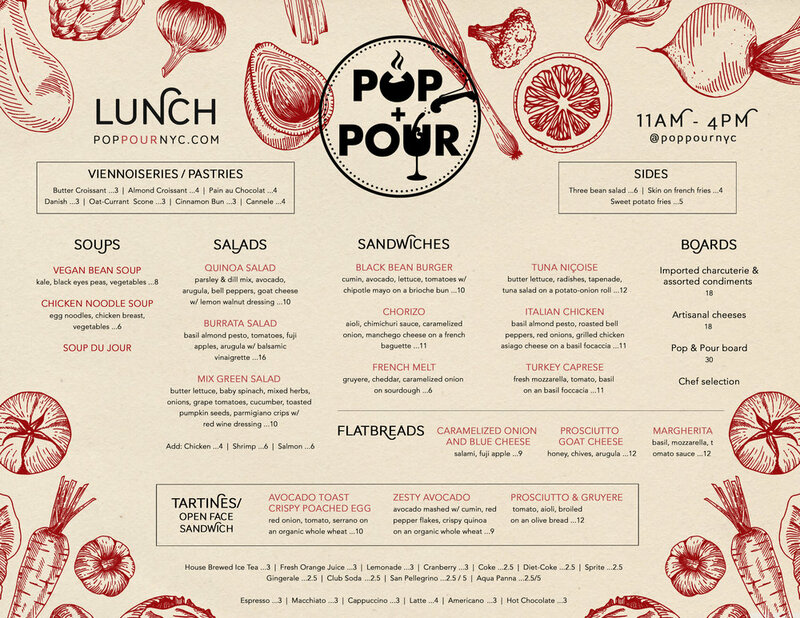 A close friend who was consulting for Pop + Pour recommended us to design their food and drink menus. The new cafe/wine bar was a few weeks from their grand opening and needed some help with their design needs. We came in to meet with Yajaira, the owner, and that was the beginning of a flourishing relationship. 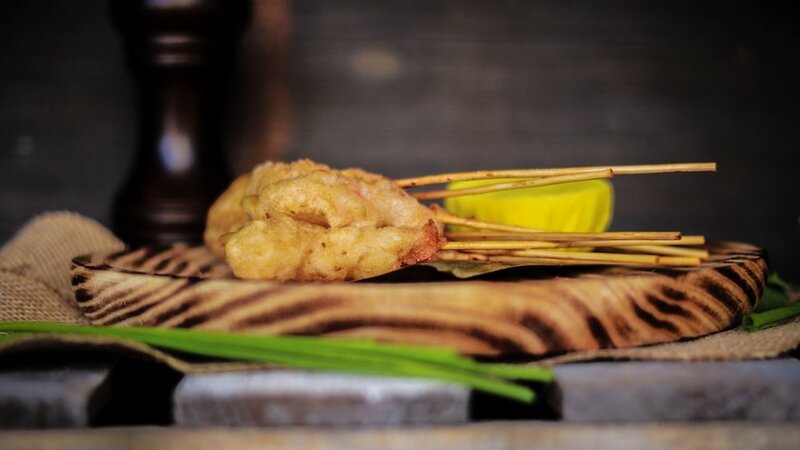 Since then we have worked closely with the cafe to produce their menus, website, and advertisements as well as photographing their menu items and managing their social media. Communication is a big part of any project and their responsiveness and open mindedness has allowed us to deliver on-time every single time with total creative freedom. "By far the best I've worked with throughout my journey. I opened a Cafe in the Inwood area about four months ago and Eugene has worked with me since the beginning. Handling my social media (which I've gotten so many compliments on) to creating our Menu designs, Website and flyers amongst other things. Always there when I call or text. I've worked with many companies & individuals lately and Little house Big Idea is the only one I have no complaints about. EVERYONE is great, They are responsible, knowledgeable in their area & the best part for me was the peace of mind. Knowing that your business is being handled correctly is priceless..... THANK YOU!"